The Blue Sparkly Button is BACK! 'Cuz we all need more sparkle in our lives! We finally figured out how to bling up our card reader again and we're so happy! We have literally had customers asking almost daily what happened to the Blue Sparkly Button. Now it's a Blue Sparkly Dot on the "yes" button, and we've added some sparkle to the red X on the "no" button, too! Soft and Luscious Eco Alpaca stars in this charming scarf! 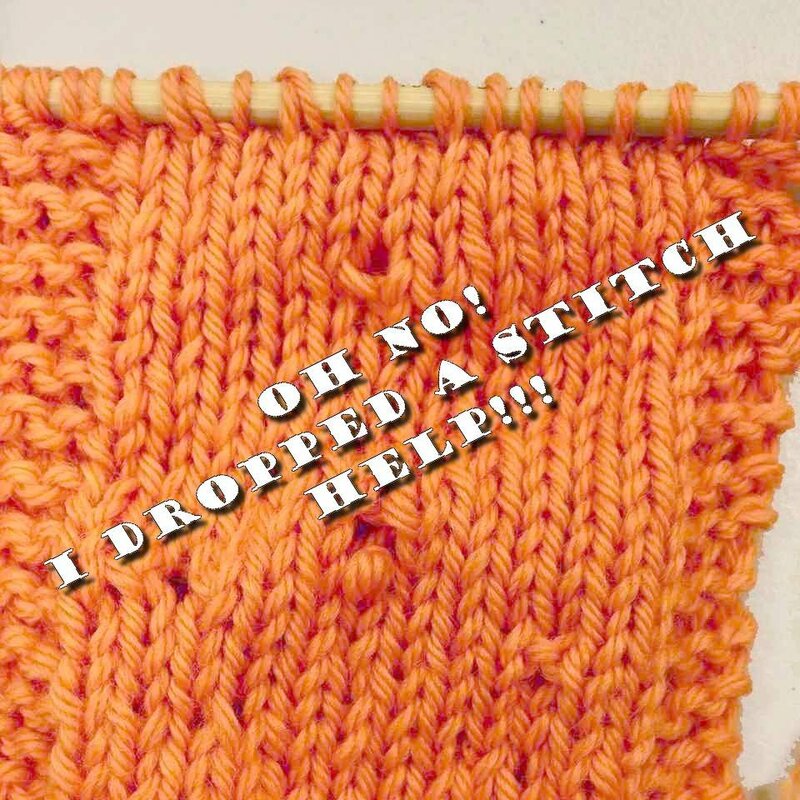 It's ribbing with a twist - every few rows, you do a double-wrapped purl, then on the next row, work this extra-long stitch as a sort of small cable. Easy and elegant! Best yet - the Jasmine Scarf is a FREE Ravelry download! We have so many wonderful new things in stock! The ones we're most excited about are the cushy slippers for by Snoozies. 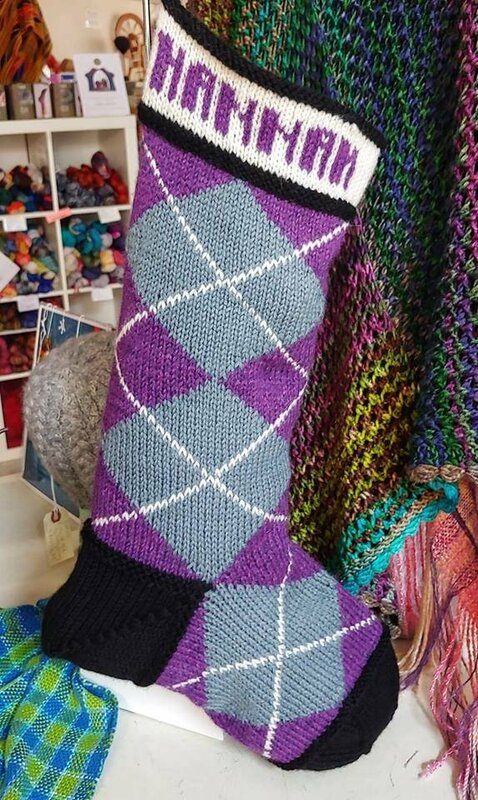 Not only do they have wonderful footies, but they also have a KIT to make a matching blanket - so cool! We're also totally in LOVE with the magical little Fairy Scarf Kits. They come in a sweet box with several mini-skeins of yarn and a slew of ribbon flowers. 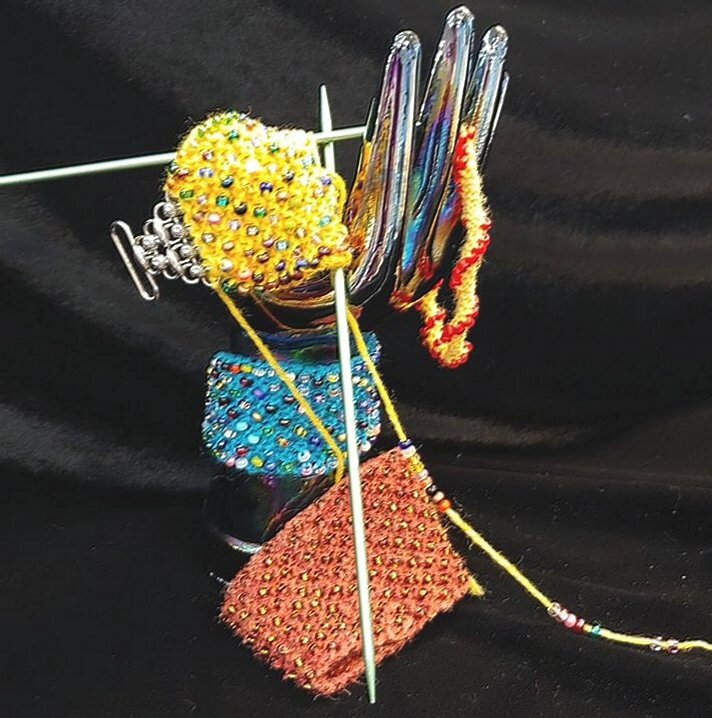 Make a flowered fairy scarf for a child you love, and read them the Story of the Fairy Scarf, in which the knitter puts their dreams into the scarf and the child who receives it has a childhood filled with "beautiful dreams and playful thoughts." SWEET! Wow! Hanukkah's less than a week away! 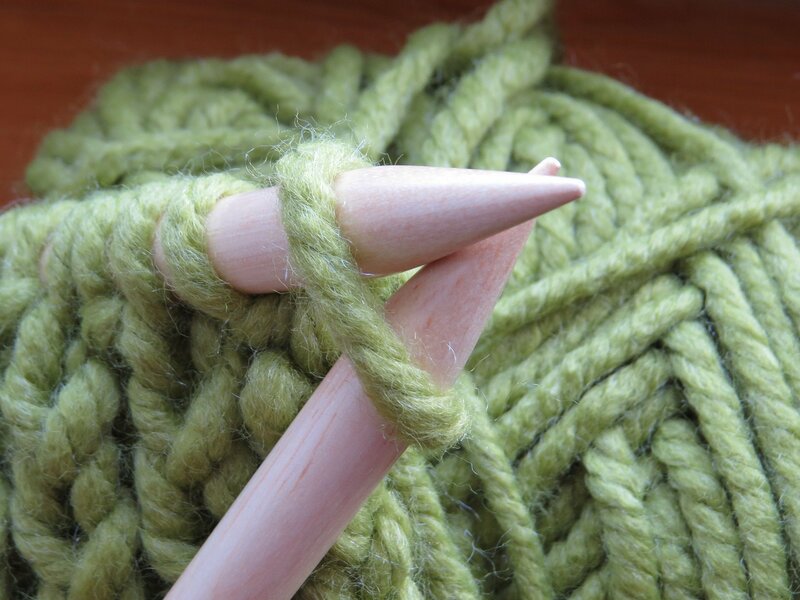 Needle felting uses super sharp barbed needles to turn loose wool into thick fabric, which you can shape as you go. 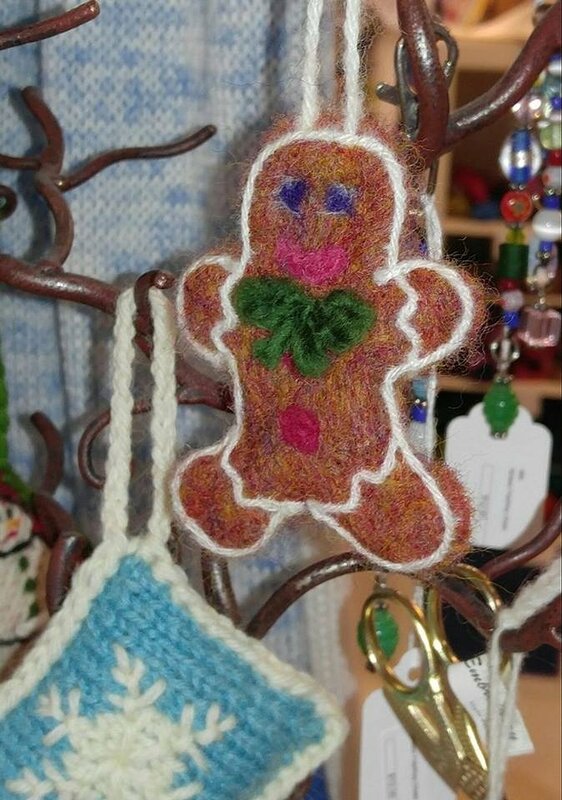 In this fun class, you'll learn to make a felted holiday ornament, and decorate it with some simple embroidery stitches! 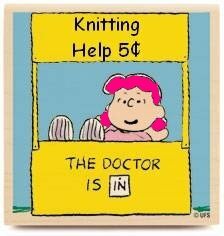 Bling your knitting up! We’ll work a simple accessory – your choice of bracelet, necklace, or headband – and make it sparkle with two different ways of applying beads. We’ll also learn to read a bead chart and different tools to use to make beading easier. This traditional Scottish pattern of interlocking diamonds has adorned the ankles of kings, the tied-over-the-shoulder sweaters of preppies, and the ripped tights of punksters. Start your own love affair with this classic and versatile pattern while you learn to make a cozy Christmas Stocking!